BonaKemi USA, Inc. (“Bona”) requests that you read the following terms and conditions (collectively, these “Terms”) before using this web site (the “Website”). Your use of the Website constitutes your acceptance of these Terms and your agreement to follow and be bound by these Terms. These Terms constitute a legal, binding agreement between you and Bona. There may be additional or different terms and conditions stated elsewhere on the Website that apply to your access and use of the Website. If you do not agree to these Terms, you must not access or use the Website. Unless otherwise stated in these Terms, any reference to “Bona” in these Terms refers to BonaKemi USA, Inc. and all of its affiliates. Bona may modify these Terms at any time. Those modified Terms will become effective immediately after Bona posts them on the Website. You agree to review these Terms posted on the Website each time you access or use the Website so that you are aware of any modifications made to these Terms. If you do not agree to the modified Terms, you are not authorized to access or use the Website. Your failure to comply with these Terms as they may be modified from time to time will constitute breach of contract and may violate Bona’s copyright, trademark, and other proprietary and intellectual property rights. Bona reserves the right to modify, suspend, or discontinue, temporarily or permanently, the Website or any part of the Website from time to time, for any or no reason and without notice. You agree that Bona will not be liable to you or to any third party for any modification, suspension, or discontinuance of the Website. Bona may change the information and materials on the Website from time to time at its discretion. Bona welcomes your comments and suggestions about the Website and Bona’s products and services, but Bona does not wish for you to send any confidential or proprietary ideas, suggestions, materials, or other information relating to developing, designing, redesigning, modifying, providing, or marketing any of its products or services or any new products or services. You agree that any information, ideas, suggestions, or materials that you or individuals acting on your behalf send to Bona via the Website, including feedback, data, questions, comments, product or service ideas, know-how, or suggestions (collectively, “Information”), will not be considered confidential or proprietary, even if the Information is labeled “Confidential” or “Proprietary.” Further, Bona will own all Information you submit to it via the Website, and by submitting the Information to Bona, you irrevocably assign to Bona all worldwide rights, title, and interest in and to that Information. Bona will be free to reproduce, use, disclose, and distribute Information to others without limitation or liability. Bona may use any ideas, concepts, know-how or techniques in the Information for any purpose whatsoever, including developing and marketing products or services that incorporate or otherwise embody Information, without providing any notice, compensation, or attribution to you. The Website is not intended for use by anyone under the age of 13 without the prior consent and ongoing supervision of a parent or guardian. By using the Website, you represent and warrant to Bona that you meet the foregoing age requirement. Bona will not knowingly collect personally identifiable information via the Website from visitors under the age of 13 and will take prompt steps to delete any such personally identifiable information if notified that any has been inadvertently collected. Bona owns and operates the Website and owns or has the right to use all of the content on the Website, including all text, images, graphics, photographs, video clips, audio clips, designs, patterns, icons, wallpaper, characters, artwork, sounds, information, software, data, and other materials, and all HTML design, layouts, configurations, CGI, and other code and scripts in any format used to implement the Website (the “Content”), all of which are protected by United States and international copyright, trademark, patent, trade secret, and other intellectual property or proprietary rights laws. Absent Bona’s express written permission as to particular Content on the Website, you may use the Content only for personal, noncommercial, informational purposes, and you may, subject to any stated restrictions or limitations, print a single copy of a limited amount of Content solely for these purposes, if the copy bears all copyright and other intellectual property and proprietary notices displayed on the web page. Except as expressly authorized by these Terms, you may not distribute, publish, download, transmit, modify, create derivative works from, or in any way exploit, any of the Content, in whole or in part, without Bona’s prior written consent, provided that (a) your computer may temporarily store copies of such materials in RAM incidental to your accessing and viewing those materials, (b) you may store files that are automatically cached by your Web browser for display enhancement purposes, and (c) if we provide desktop, mobile, or other applications for download, you may download a single copy to your computer or mobile device solely for your own personal, non-commercial use, provided you agree to be bound by our end user license agreement for such applications. Additionally, framing pages or parts of pages on the Website and deep linking to pages in the Website are prohibited. Bona or its affiliates own or license all trademarks, service marks, and trade names on the Website unless stated otherwise on the Website. You may not use these marks without Bona’s prior express written permission. Bona may, in its sole discretion, display only some of the products and services that it offers on the Website. You hereby acknowledge that the absence of a product or service name or logo on the Website does not constitute a waiver of Bona’s trademark or other intellectual property rights concerning any such product, name, or logo. Except as expressly provided above, Bona is not granting you a license under any copyright, trademark, service mark, patent, or other intellectual property or proprietary right in any Content, and nothing in these Terms will be interpreted as conferring by implication, estoppel, or otherwise any license or right under any patent, trademark, copyright, or other proprietary, intellectual, or other right of Bona or any third party. You obtain no rights in the products, equipment, processes, or technology described on this Website by accessing or using the Website. Bona and any third party owners retain all of those rights. You may use the Website only for lawful purposes in accordance with these Terms. You agree not to use the Website: (a) in any way that violates any applicable federal, state, local or international law or regulation (including, without limitation, any laws regarding the export of data or software to and from the US or other countries); (b) for the purpose of exploiting, harming, or attempting to exploit or harm minors in any way by exposing them to inappropriate content, asking for personally identifiable information, or otherwise; (c) to send, knowingly receive, upload, download, use, or re-use any material which does not comply with the section of these Terms titled “Intellectual Property”; (d) to transmit, or procure the sending of, any advertising or promotional material, including any "junk mail", "chain letter," "spam," or any other similar solicitation; (e) to impersonate or attempt to impersonate Bona, a Bona employee, another user, or any other person or entity (including, without limitation, by using e-mail addresses associated with any of the foregoing); (f) to engage in any other conduct that restricts or inhibits anyone's use or enjoyment of the Website, or which, as determined by us, may harm Bona or users of the Website or expose them to liability, or (g) to interfere with the proper working of the Website. You also agree not to use any robot, spider, or other automatic device, process, or means to access the Website for any purpose, including monitoring or copying any of the material on the Website. The Website may provide certain social media features that enable you to: (a) link from your own or certain third-party websites to certain content on the Website; (b) send e-mails or other communications with certain content, or links to certain content, on the Website; or (c) cause limited portions of content on the Website to be displayed or appear to be displayed on your own or certain third-party websites. You agree to cooperate with us in causing any unauthorized framing or linking immediately to cease. We reserve the right to withdraw linking permission without notice. Bona disclaims all responsibility and liability for the timeliness, sequence, quality, accuracy, content, completeness, legality, reliability, operability, and availability of information and material contained on the Website. The Website may contain inaccuracies or typographical errors. 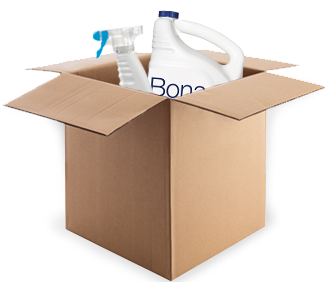 Bona disclaims any responsibility for the deletion, failure to store, failure to update, misdelivery, or untimely delivery of any information or material on the Website. Bona does not warrant or guarantee that the Website will be error-free or virus-free or that access to the Website will be uninterrupted. Bona and its content providers cannot and do not warrant or guarantee against errors, omissions, delays, interruptions, or losses, including loss of data. THE SITE AND THE CONTENT ARE PROVIDED “AS IS” AND “AS AVAILABLE” WITH NO WARRANTIES WHATSOEVER. BONA DISCLAIMS ALL EXPRESS, IMPLIED, STATUTORY AND OTHER WARRANTIES, INCLUDING THE WARRANTIES OF MERCHANTABILITY, FITNESS FOR A PARTICULAR PURPOSE, AND NON-INFRINGEMENT, AS WELL AS ANY WARRANTY OF QUALITY, FUNCTIONALITY, ACCURACY, CURRENCY, COMPLETENESS, RELIABILITY, OPERABILITY, USE, PERFORMANCE, OR ABSENCE OF VIRUSES. IN NO EVENT WILL BONA, ITS AFFILIATES, ITS DATA PROVIDERS, OR ANYONE ELSE INVOLVED IN CREATING, PRODUCING, DELIVERING, OR MANAGING THE CONTENT (COLLECTIVELY, THE “SITE PROVIDERS”), BE LIABLE TO YOU OR ANY THIRD PARTY FOR ANY CLAIMS WHATSOEVER, IN CONTRACT, TORT, STRICT LIABILITY, OR OTHERWISE, INCLUDING DIRECT, INDIRECT, SPECIAL, INCIDENTAL, PUNITIVE, OR CONSEQUENTIAL DAMAGES, LOST REVENUES, LOST PROFITS, LOST OPPORTUNITIES, AND LOSS OF PROSPECTIVE ECONOMIC ADVANTAGE, ARISING OUT OF OR IN CONNECTION WITH (A) YOUR ACCESS OR USE OF THE SITE, (B) ANY COMMUNICATIONS SENT TO YOU VIA THE SITE OR OTHERWISE FROM BONA, OR ANY DAMAGES SUFFERED AS A RESULT OF OMISSIONS OR INACCURACIES IN SUCH INFORMATION, (C) THE TRANSMISSION OF CONFIDENTIAL OR SENSITIVE INFORMATION TO OR FROM THE SITE PROVIDERS, OR (D) INCONVENIENCE, DELAY, OR LOSS OF USE OF THE SITE OR ANY SERVICE, EVEN IF SOME OR ALL OF THE SITE PROVIDERS ARE ADVISED OF THE POSSIBILITY OF SUCH DAMAGES. WITHOUT LIMITING THE FOREGOING, THE SITE PROVIDERS ASSUME NO LIABILITY OR RESPONSIBILITY FOR DAMAGE OR INJURY TO PERSONS OR PROPERTY ARISING FROM ANY ACCESS OR USE OF ANY INFORMATION, IDEA, OR INSTRUCTION IN THE CONTENT. You agree to defend, indemnify, and hold harmless Bona, its affiliates, licensors and service providers, and its and their respective officers, directors, employees, contractors, agents, licensors, suppliers, successors, and assigns from and against any claims, liabilities, damages, judgments, awards, losses, costs, expenses or fees (including reasonable attorneys' fees) arising out of or relating to (a) your use of the Website, (b) user content you submit, post to, or transmit through the Website, (c) your violation of any rights of any other company or person in connection with this Website, or (d) your violation of these Terms. When you visit the Website or send e-mails to Bona, you are communicating with Bona electronically. You consent to receive communications from Bona electronically. Bona will communicate with you by e-mail or by posting notices on the Website. You agree that all agreements, notices, disclosures, and other communications that Bona provides to you electronically satisfy any legal requirement that such communications be in writing. If you set up an account on the Website, you are responsible for maintaining the confidentiality of your account and password and for restricting access to your computer, and you agree to accept responsibility for all activities that occur under your account or password. Bona reserves the right to refuse service, terminate accounts, remove or edit content in its sole discretion. The invalidity of any term, condition, or provision of these Terms will not affect the enforceability of the remaining portions of these Terms. Bona’s failure to enforce any right or provision in these Terms shall not constitute a waiver of such right or provision.